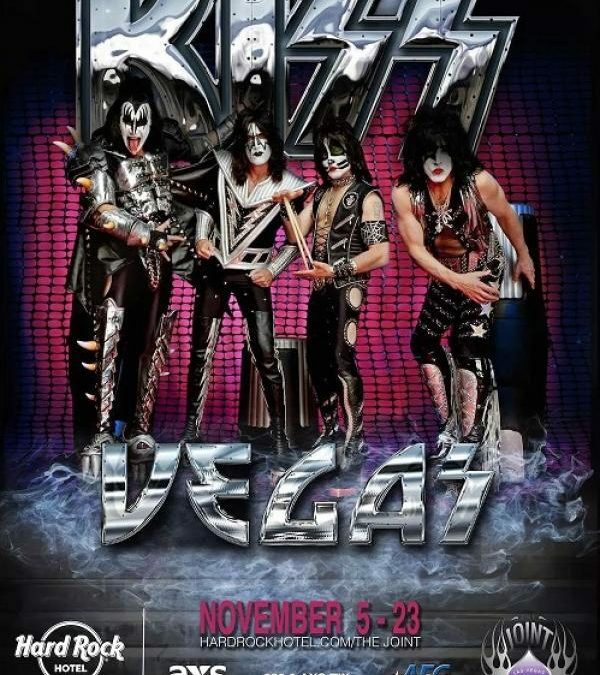 Rock ‘n’ roll legends KISS celebrate 40 years as music icons with their first-ever residency, KISS Rocks Vegas, at The Joint inside Hard Rock Hotel & Casino Las Vegas starting Wednesday, Nov. 5 through Sunday, Nov. 23. 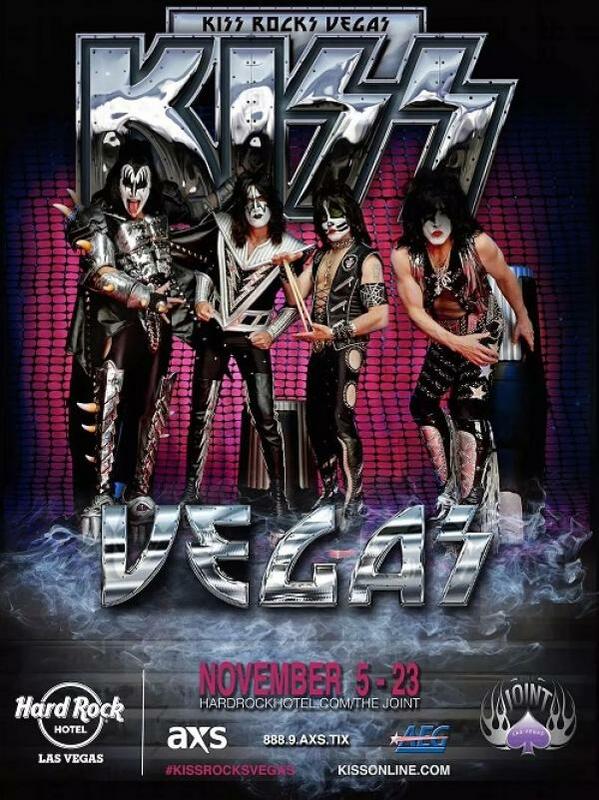 Show time is 8 p.m. Tickets for KISS Rocks Vegas are on sale now. To purchase tickets or for more information, visit the Hard Rock Hotel box office, www.axs.com or charge-by-phone at 1-888-9-AXS-TIX. VIP ticket and room and show packages are available at www.hardrockhotel.com. “What happens in Vegas will not stay in Vegas, not if we have anything to do with it. We intend to blow the roof off the Hard Rock Hotel & Casino,” said Gene Simmons, founding member of KISS. Four decades after beginning its exemplary journey as one of the leading rock ‘n’ roll bands in the world, KISS continues to make waves with one of the loudest, most over-the-top, non-stop parties at The Joint. Designed exclusively for The Joint in partnership with AEG Live, the chart-topping band will unleash its signature elaborate set designs, jam-packed set list, intense pyrotechnics and much more for nine of the biggest shows in KISS performance history.